Throughout Christian history there have been two definitions of what it means to be a true Christian. One representing the established institutional church focusing on holding onto tradition and orthodoxy, where ascribing to correct doctrine is the true test of whether one is a Christian; and the other representing renewal movements and a revitalization of personal faith, and seeing being born again and having a relationship with God as the heart of Christian faith. We can see both of these competing definitions within Evangelicalism. It is easy to think of certain groups that one could apply either focus to. For a while I thought that the "correct doctrine" was descriptive of how Calvinists understood faith, but I think that is incorrect. Even within Calvinism we find both - people focusing on correct doctrine like Charles Hodge, and others focused on a relationship with Jesus like Charles Spurgeon. More often than not one finds both of these diverging emphases internalized in a single individual, producing a sort of theological "multiple personality disorder". For example, an Evangelical may insist on the need to adhere to correct doctrines such as the infallibility of the Bible, and declare that anyone who denies these “fundamentals” cannot call themselves a "real Christian". However, if one were to ask this same person whether the heart of Christianity is not in fact much more in knowing Jesus in a personal relationship, they would fall over backwards to agree with you. They may still insist that correct doctrine is vital, but not claim that salvation hinges on it. To those on the outside Evangelicalism seems to be focused on adherence to doctrine, to those on the inside it is focused on relationship. So why are we giving people this false impression of what the heart of faith is about? 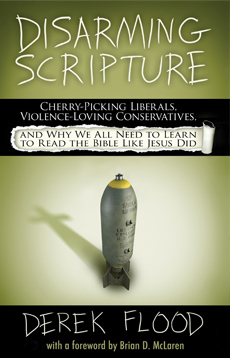 As a result, Evangelicalism, being largely a folk movement rooted in personal faith which is continually reforming itself, has not for the most part produced theologians who can express the heart pulse of ordinary Evangelical faith, but instead have been much more influenced by the doctrinal battles that characterize the academic and political world - for example getting caught up in the Fundamentalist vs Modernism controversy. In this vacuum, Evangelicals looking for a way to express their faith will simply “borrow” the doctrinal statements formulated by these non-representative voices, creating a theological “Frankenstein” by sewing a dogmatic head on to a relational body. Take a look at the doctrinal "statement of faith" posted on your church's website for instance, and notice that very little is said about a relationship with Jesus or living in grace, and instead it is filled with definitions (the Trinity, the infallibility of the Bible, etc.) that while correct formulations, seem detached from what a vital living relationship with God is about. My intention here is not to propose a relational faith that is divorced from biblical fidelity and orthodoxy, but rather to draw attention to the fact that the way we Evangelicals have learned to convey our faith theologically does not seem to capture the rich relational aspects that it is inwardly characterized by. 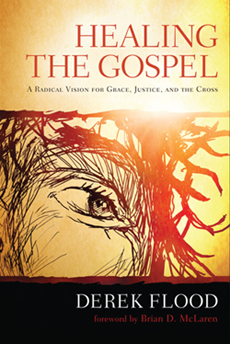 What is needed is to develop doctrine and theology that arise out of the reality of our relationship with God, and foster a community of people characterized by Christ-likeness and grace. The choice then is not ultimately between doctrine and relationship, but to have right teaching that is rooted in and characterized by right relationship with God and others. In this, relationship - loving God and others - is primary. Right doctrine arises out of right relationship. Placing doctrine over relationship on the other hand leads to not presenting the heart of faith in a loving relationship with God to those outside of our faith, but instead showing them a religion characterized by self-righteousness, condemnation, legalism, and a heartless Pharisaical faith that is in opposition to biblical teaching.